I need a mascara that does not flake into my under eye. Here is why, I have deep set eyes in addition to dark circles since I was 13 i have just always have had them, now I also lack sleep being a mother of a toddler. I have tried a few mascaras that in hope would not flake because the less darkness under my eye the better right :). I don't need fullness I really only use mascara for work to define my lashes, right now I just use clear . Can you recommend a mascara that flakes only a little or none at all I have really only tried drugstore brands since I am on a budget but willing to purchase higher end if you say it is worth it. Thank you for reading my email and I hope to get your feedback. can't wait to see more from beautybroadcast. Hey Lexie! Mascaras that don't flake... good question! 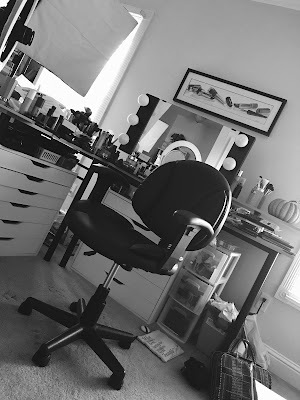 One that has been surprisingly good for me in that department is Cover Girl Lash Blast. It's not my absolute favorite in terms of being volumizing, but it's still pretty good at that too. It really adheres to your lashes and I don't seem to have any smudging/flaking problems with it. Another option that's a bit more new to me, but appears to be working really well, is L'oreal Telescopic mascara. I have it in the original version, but they also have something called "clean definition" that I've heard good things about. The basic Difference between Lash Blash and Telescopic is that Lash Blast is a bit more volumizing, and Telescopic is more lengthening. Also, Telescopic's wand is more narrow and easier to work with, while Lash Blast is known for having a rather large wand that can make it difficult to get to those small lashes in the inner corner. In my opinion, both do well in terms of not flaking. Plus- they're both relatively cheap, so if one doesn't work out for you- you can try the other for not a lot of money!Hope this helped! Hello! I love your videos so much! They are so helpful to me! I was looking for some suggestions from you about drugstore eyeshadow brands. I am trying to be more money conscious when it comes to buying my makeup. I have watched your eyeshadow videos. Could you tell me what are some of the best brands for eye shadows that will still offer a great quality product. Thanks for your help and input! Another great option is the Ultimate Expressions palettes from Wet & Wild. These come with 8 colors in them (with a good amount of each!) and they have a nice color payoff. My favorite is the kit in Paradise Cove. These run around 5 bucks. I've always liked Jane shadows, and if you want a pigmented set for a great smokey eye, check out the 6-color kit in City Tones. You get a gorgeous sparkly black shade that reminds me of a similar black I have from Makeup For Ever. These are probably around 6 dollars. 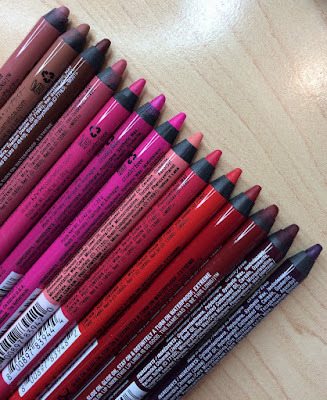 If you're willing to shell out between 3 and 4 bucks for single shades, Milani is a great option. As you'll see on my MAC Dupes Forum, they are quite comparable to a lot of MAC shadows. Some shades I like are Java Bean, Spice, and Illusion. I hope this helped those who asked the questions, and those of you who are reading this! Have a wonderful day! Hi Emily! I LOVE those Revlon quads too! The've gor great coordinating colors and are so easy to use, and usually I'm good to go with just one pallette. I hope sometime soon, you can show how you do your makeup for TV, since you said you do your own makeup and hair. Like how you make up for bright lights and deal with shadows and such, as doing makeup for soft/low lights seemed much easier. It'll be a great tutorial for those who want to get into TV as well. Thank you, have a good one! I have deep=set eyes as well and don't need any more darkness around my eyeballs. I do find that Lash Blast does flake, but only after 10-12 hours, so that is pretty good to me! Who could ask for more? I bought the Sand Castle Wet n' Wild eye shadow palette because of you and I absolutely love it! Im looking for a compact presed powder to touch up my liquid fndt. during the day. its not for oil cause i have dont have oily skin i have really dry skin any recomendations emily? I dont really use that much makeup, especially day to day, but I got the Revlon colourstay in Neutral Khaki a few Christmas's ago and it's still almost the only thing I use.